Education: B.A. Political Science from University of North Carolina, Chapel Hill and graduate of Harvard Law School. 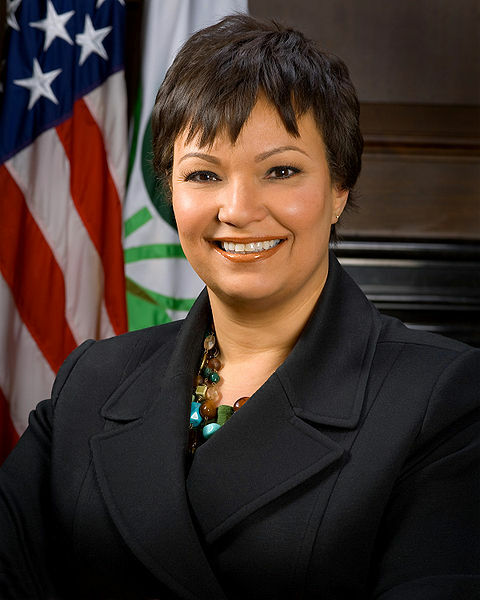 Occupation: Senior Advisor to the Millennium Challenge Corporation, appointed by President Obama. Obama Connection: First met President Obama while standing in line in the financial aid office at Harvard. She still has his constitutional law book, which she seized as hostage back in college when she lent him a Miles Davis/John Coltrane album that he has yet to return. About the MCC: The Millennium Challenge Corporation (MCC) is an innovative and independent U.S. foreign aid agency that is helping lead the fight against global poverty. Created by the US Congress in January 2004 with strong bipartisan support, MCC is changing the conversation on how best to deliver smart U.S. foreign assistance by focusing on good policies, country ownership, and results. MCC forms partnerships with some of the world’s poorest countries and provides them with large-scale grants to fund country-led solutions for reducing poverty through sustainable economic growth. MCC grants complement other U.S. and international development programs. Career Journey: Cassandra has 17 years’ experience in politics and policy. She was formerly the Deputy White House Counsel for the Obama administration where she focused on judicial nominations. Cassandra was also the general counsel to the Obama-Biden Transition Project. She also served as the Senior Vice President for Domestic Policy at the Center for American Progress. Prior to joining CAP, she was a senior advisor to House Democratic Leader Richard A. Gephardt (D-MO) where she worked on refugee, asylum and immigration issues and served as the policy director on his 2004 presidential campaign. 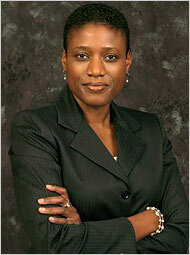 Ms. Butts also served as director of Senator Obama’s Senate transition in 2004-2005. Previously, she was an Assistant Counsel for the NAACP Legal Defense & Educational Fund and also served as Legislative Counsel to Senator Harris L. Wofford (D-PA). Fun Facts: Cassandra is a car enthusiast and currently drives a sterling gray BMW Z3 coupe, of which only just a handful was made. During her college years at UNC Chapel Hill, she protested apartheid. Cassandra is also a big fan of Carolina basketball. As of today, the calamity that is the BP oil spill is still yet to be contained. Is it us or is this just down right ridiculous? 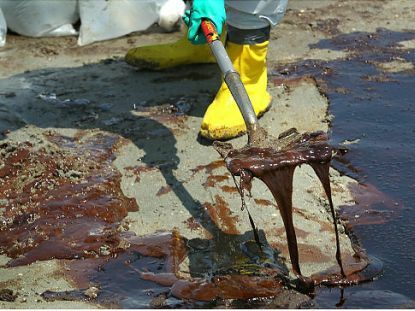 Between the engineers and the scientists that work for BP, are you telling us that no one….absolutely no one…can figure out how to stop this madness from continuing to pollute our precious bodies of water? It is absolutely unfathomable that this company was allowed to drill without demonstrating that they had a solid, executable contingency plan in place. And not for nothing, but we’ve about had enough of the political pundits trying to blame our fearless President Obama for this oil spill. That is about as ludicrous as blaming him for the exorbitant amount of debt our country is in. Did you get a chance to see James Carville in a completely certifiable rant and rave about how he felt President Obama didn’t move fast enough, when in fact President Obama has made three trips to the gulf since the spill began on April 20, 2010. Apparently, BP has opened up a suggestion line for people with valid ideas to submit them for consideration. At this point, we should try and consider every viable option. I’ve heard everything from attaching a butterfly valve on the pipe to soaking up the oil with a huge sham-wow. Here’s hoping the latest pipe cutting procedure works but experts say it’s too soon to tell. So Vyne readers, given the implications of this disaster, have any of you begun to think about how to curb your dependence on oil? At the very least, when it’s time to fill up your tank again, and you see BP…think By Pass! The Arrest of Dr. Gates: A Teachable Moment? It’s been a little over a week since the news first broke about prestigious Harvard professor, Dr. Henry Louis Gates Jr., being arrested at his home in Cambridge for “disorderly conduct”, charges that have since been dropped. However, the incident has again sparked a national discourse in the media regarding race relations. Retired General and former Secretary of State, Colin Powell, weighed in on the issue yesterday during his appearance on Larry King Live. The same is true for Bill Maher earlier this week on The Situation Room with Wolf Blitzer and even President Obama was asked for his opinionduring a White House briefing on health care. Additionally, a variety of opinions have been circulating throughout the blogosphere and several news media outlets ranging from support of Dr. Gates and disdain for the Police Officer to accusations of racism. In an attempt to put the controversy to rest, President Obama has invited both Dr. Gates and the arresting officer, Sgt. James Crowley to the White House tomorrow to discuss the incident informally over a beer. What’s interesting about this situation is that we will only ever have two sides of the story, Dr. Gates’ side and Sgt. Crowley’s side. There are no witnesses to substantiate the claims or help identify the “truth”. Yet and still, it hasn’t stopped people from “taking sides”. In the absence of “truth”, is it responsible to “take sides” when the deciding factor is our inferences and biases drawn through our own personal “life experience” filters? Moreover, since it is true that racial profiling of African Americans and Latinos exists, is it fair to assume that this was an incident of racism or could it have been a clash of egos? Regardless of the answer, what is clear is that this was an unfortunate and unnecessary situation. President Obama, Dr. Gates and others have suggested that this could be a teachable moment for our country. So Vyne readers…what has this moment taught you?